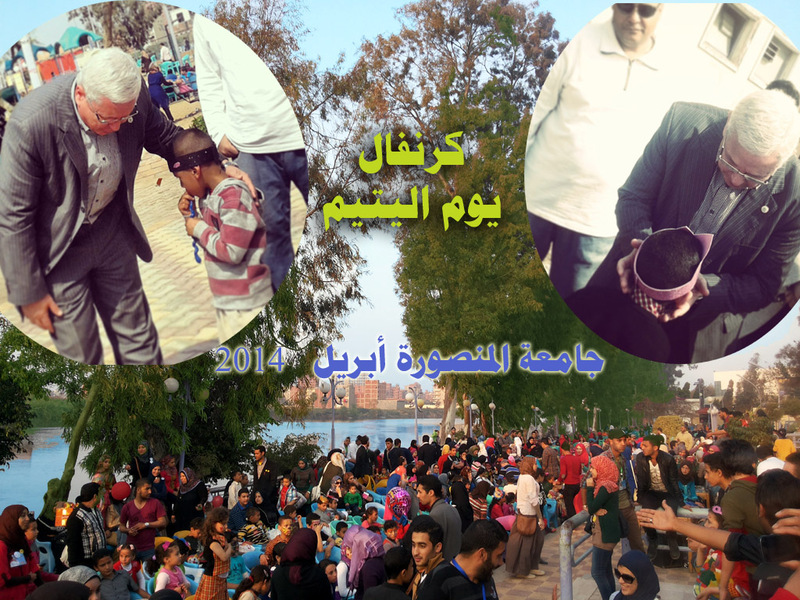 The celebration was beyond description; it showed beyond doubt that Egypt is the homeland of good deeds; Egyptians are generous and charitable by nature. and compassion, Prof. Mahmoud Elmeleigy, the Vice- President for Community Service and Environment Development Affairs, inaugurated the big celebration at the Nile Club. 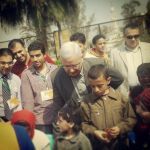 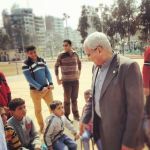 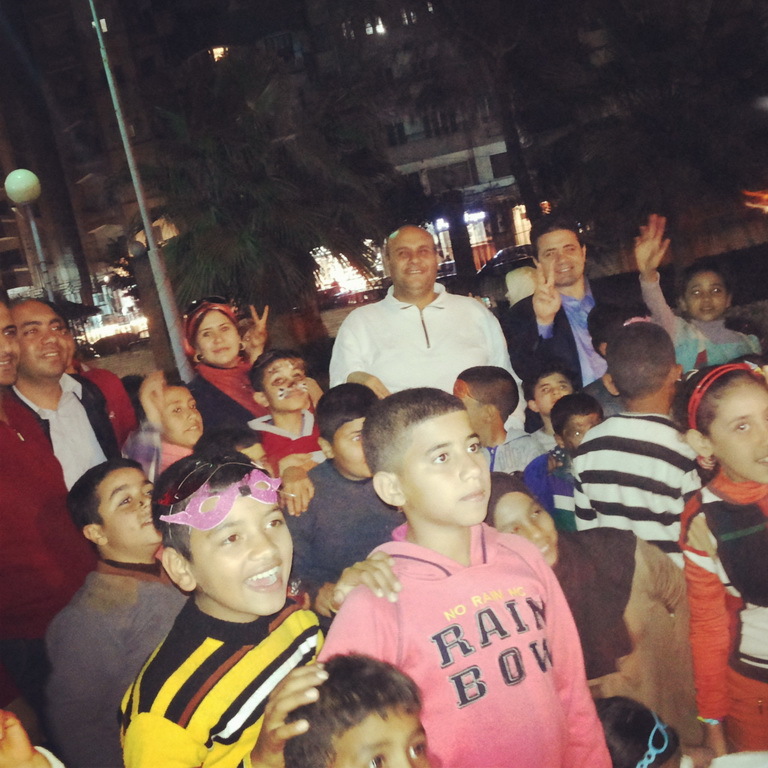 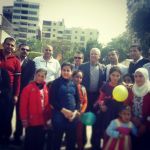 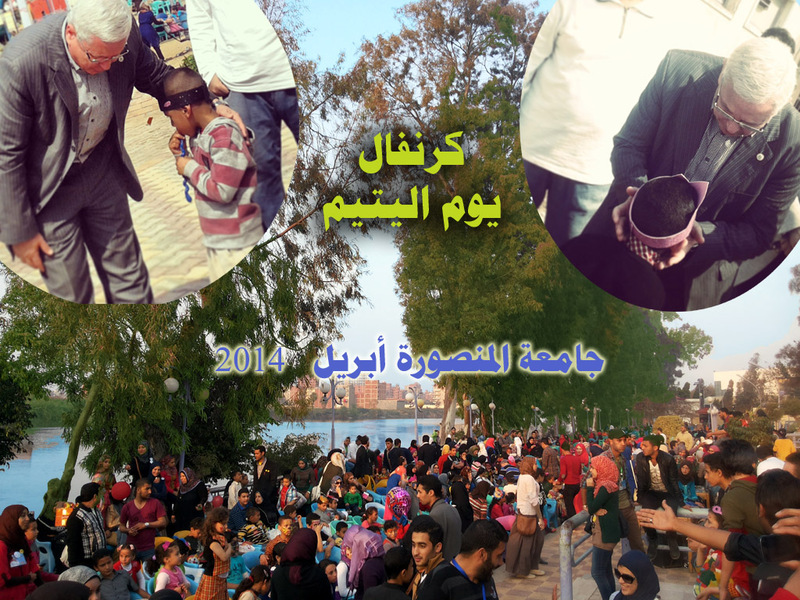 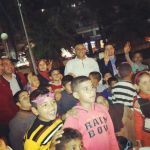 The celebration was organized by a number of charity societies, students and attended by dozens of the people of Mansoura. 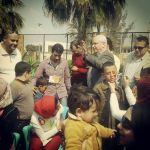 The celebration included a carnival of 350 children, an artistic festival, lunch and a distribution of gifts and toys among children. 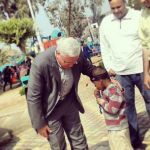 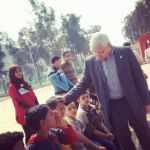 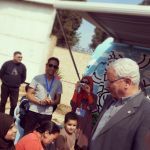 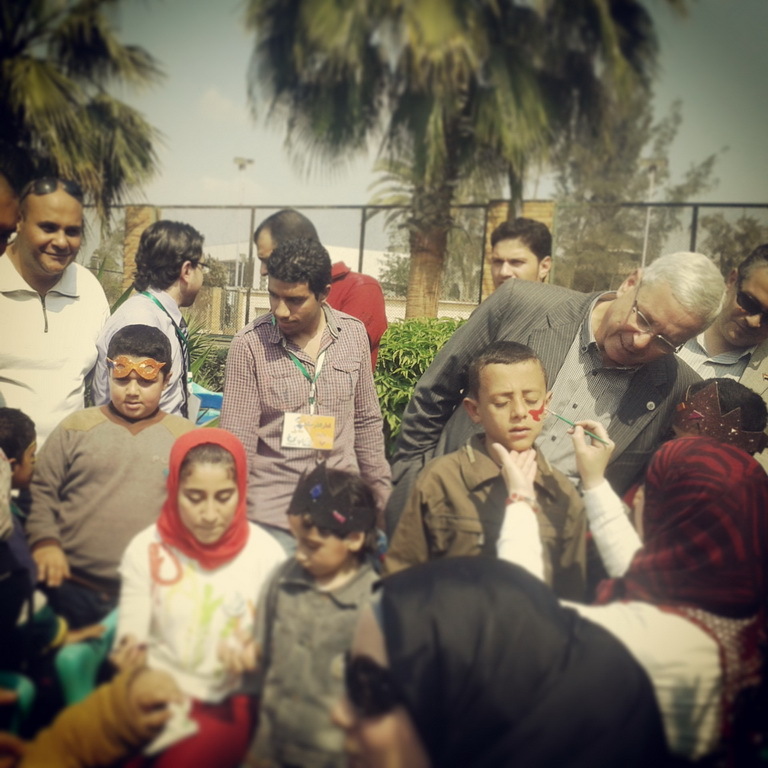 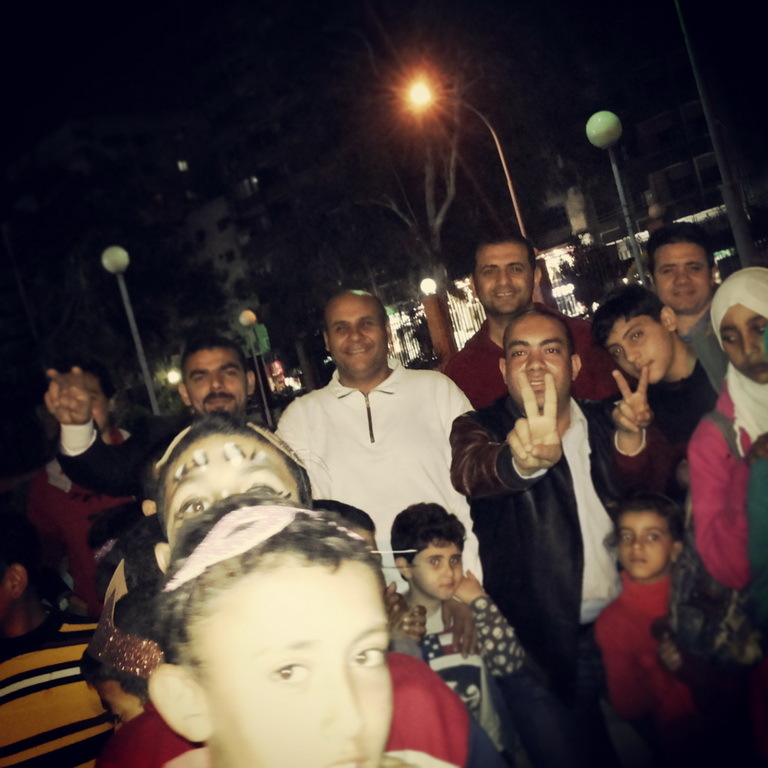 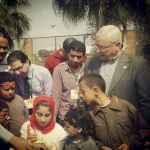 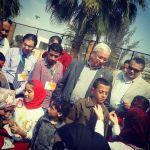 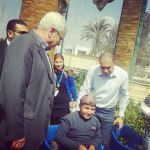 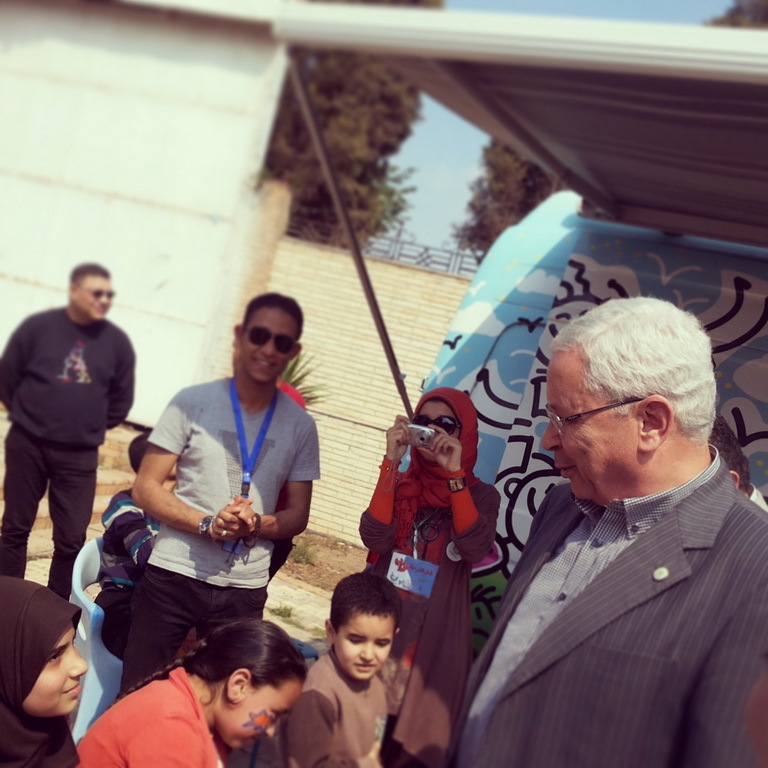 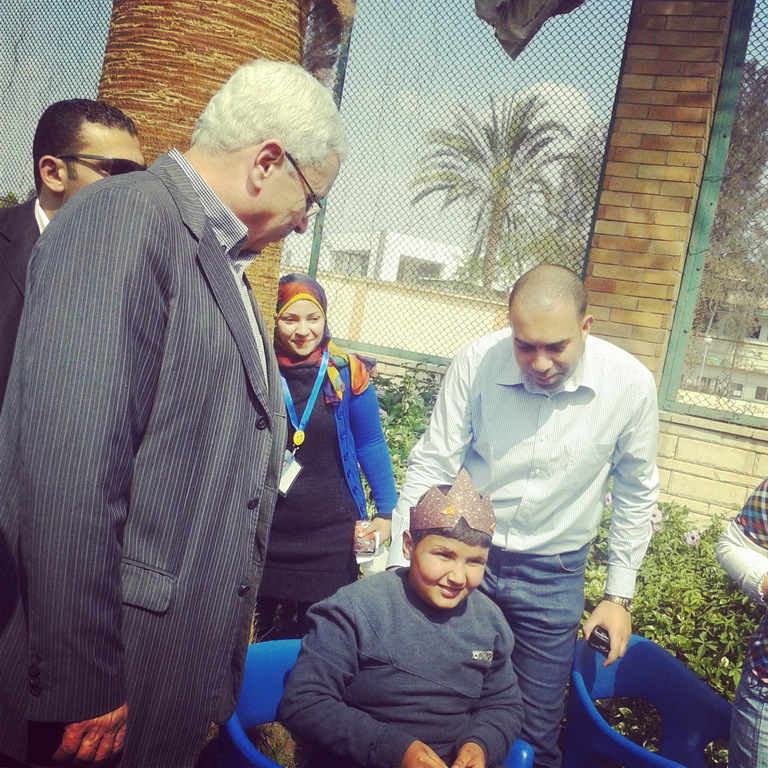 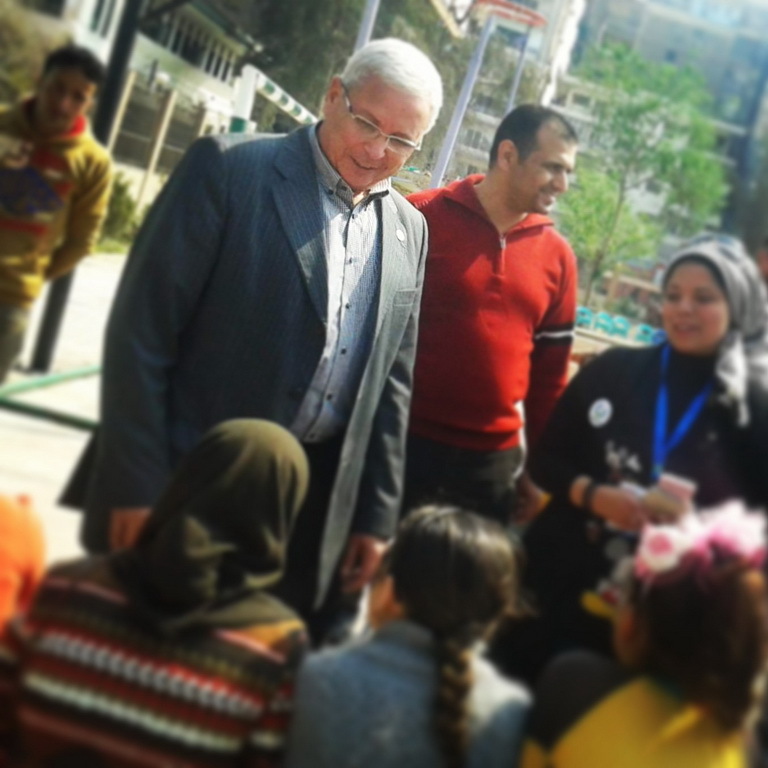 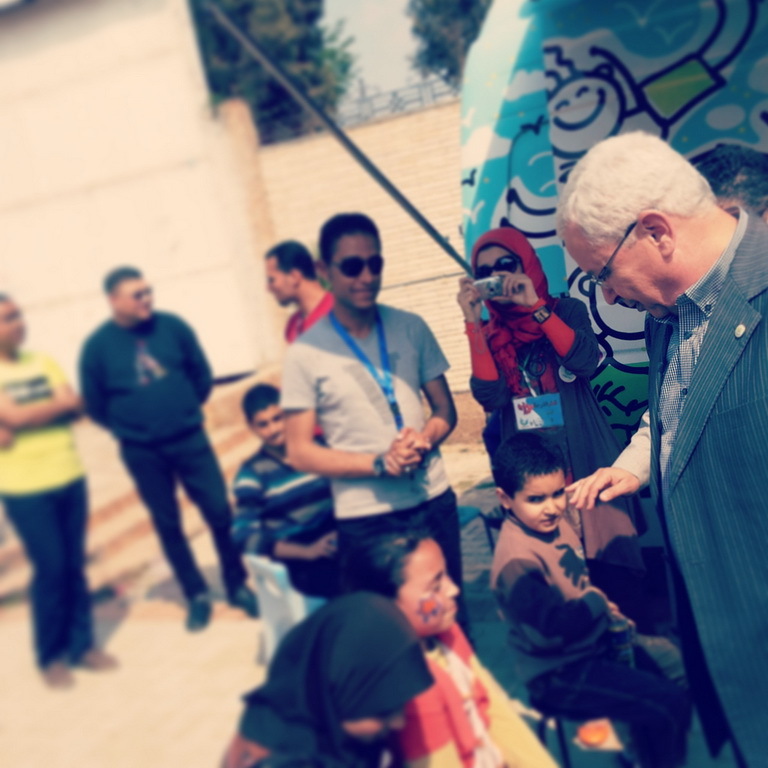 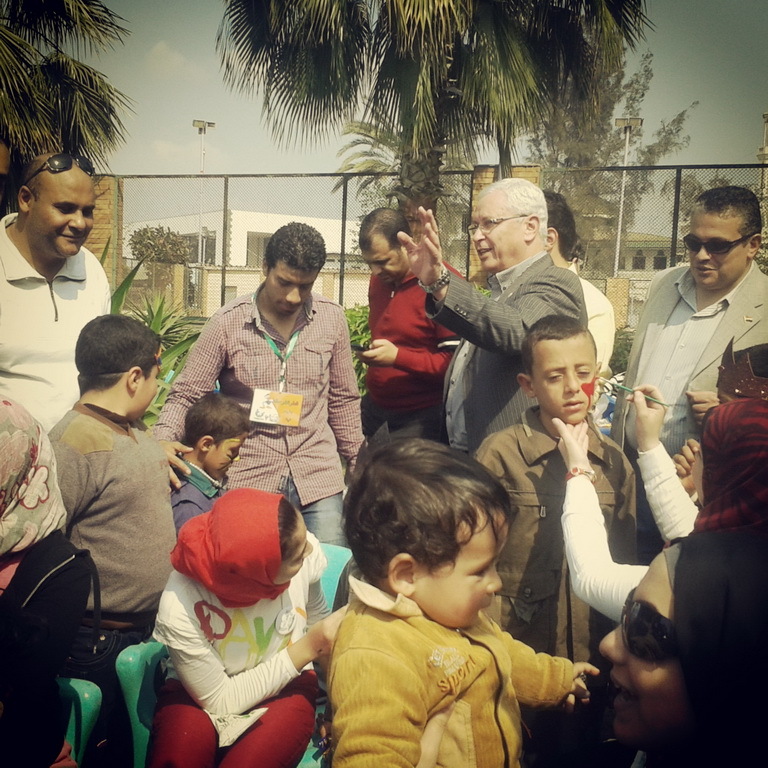 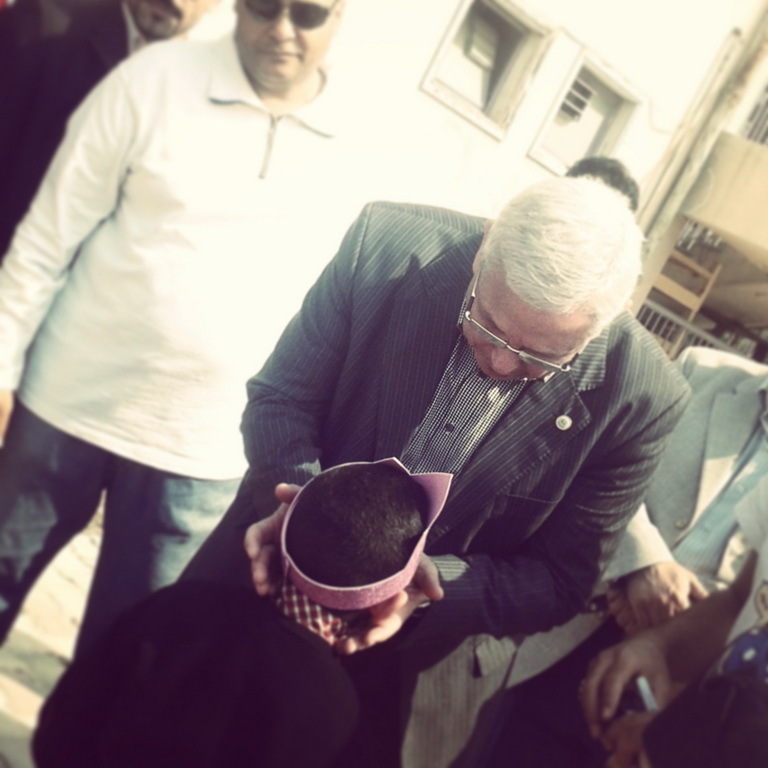 The celebration was crowned by the surprise visit of professor El-Sayed Abd El-Khalek, the President of the University , who was keen to participate in this big event; he toured the premises of the club, shook hands warmly with children, exchanged jokes and had photos with them. 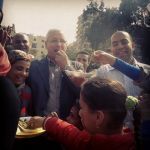 He also ate the delicious berries with them in a warm familial atmosphere. The President's personal and official support made that day a big success. Mansoura, and Egypt, by extension, will remain always the land of generosity.